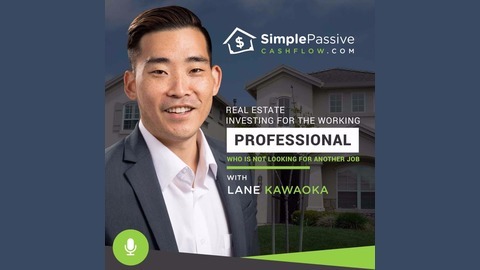 Join me on my journey to financial freedom as I work the day job as an Engineer and side-gig as a passive real estate investor.This is the show for Real Estate Investing for the busy net-worth working professional too busy to do single family home flips - heck that's a job and us high paid professional like doctors, lawyers, accountants, dentists, or engineers aren't looking for a new one.Join me in my journey as I build my own portfolio with large syndications and buy-hold turn-key rental real estate. 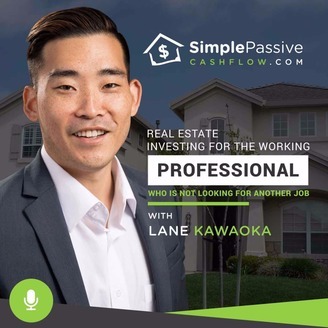 We build passive streams of cashflow with each rental so we can have the freedom to quit our jobs to do what we truly want.It's not easy, but it's simple... SimplePassiveCashflow.com. The Moneyball Trader is a weekly advisory providing traders and investors with full research and analysis of the top companies to buy or sell on a weekly time horizon. The advisory’s approach is based on comprehensive data analysis. Andrew began his career as a trained economist, eventually focusing on consumer trends as a Research Fellow at the Kyoto University Economic Research Institute. Wanting more hands-on experience in the business world, he went to the Haas School of Berkeley for his MBA in 1992. Andrew’s next stop was Silicon Valley at the onset of the digital revolution. The timing couldn’t have been better. As a 20-year veteran of the semiconductor and networking world, Andrew has participated in the emergence of the new global economy, one based on the unique characteristics of the digital world and a changing global supply chain. The first-hand experience with the 21st century economy and what makes it so different has enabled Andrew to outperform Wall Street experts. His macroeconomic forecasts consistently rank at the top of Bloomberg polls. Even better, he has harnessed the deep understanding of the way modern companies operate to find the key data points that predict which companies are likely to beat or miss their earnings. What else indicators or things regular guys can as a bookmark on their computer? What asset class do you see as most recession resistant? Why is the Moneyball ending?